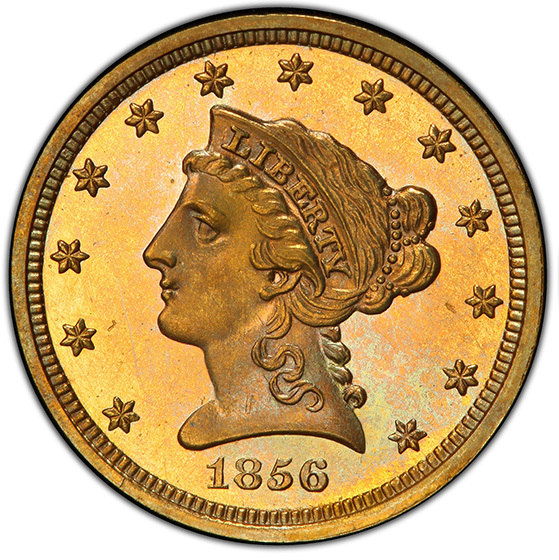 The remarkable Christian Gobrecht Liberty Head design was adopted by the mint that had been on the lookout since 1834 for an “enduring symbol” for American gold coins. Though Gobrecht had originally designed the Coronet head for the gold eagle, the mint’s uniformity policy placed the design on the quarter eagle as well. This design certainly achieved the endurance the mint had hoped for as it is renowned for being the longest continuous design production without a major change. 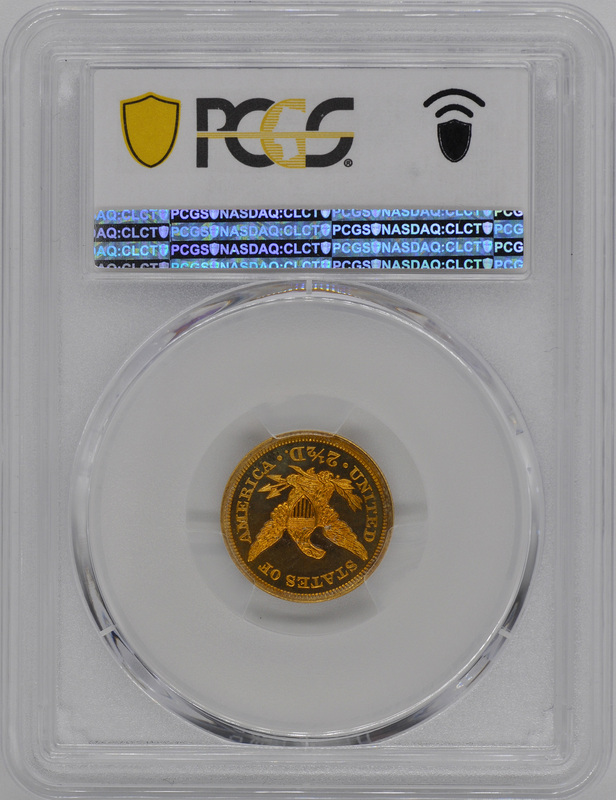 As a result of relatively low mintage numbers and wide usage, these coins have a plethora of rarities. 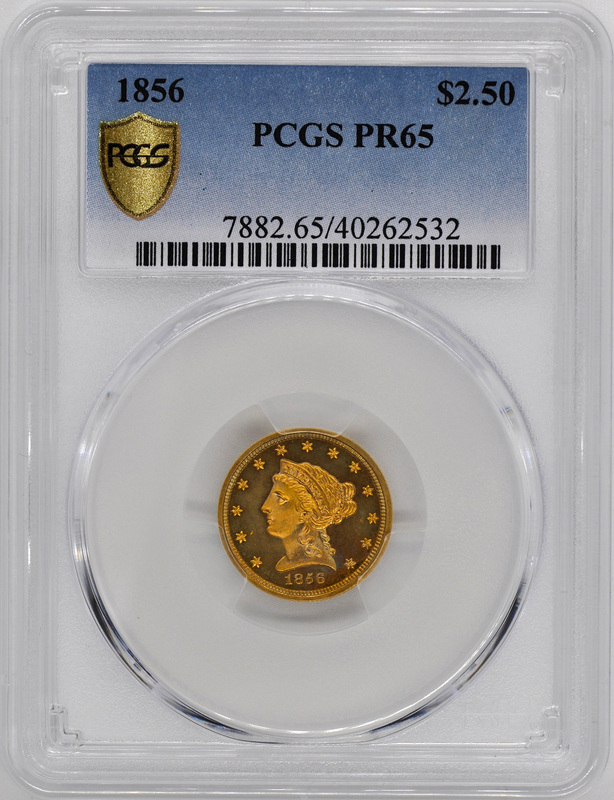 This 1856 proof is perhaps one of the most spectacular examples from the series as it only one of three known in existence and is tied for highest graded; a tried and true treasure to avid collectors. 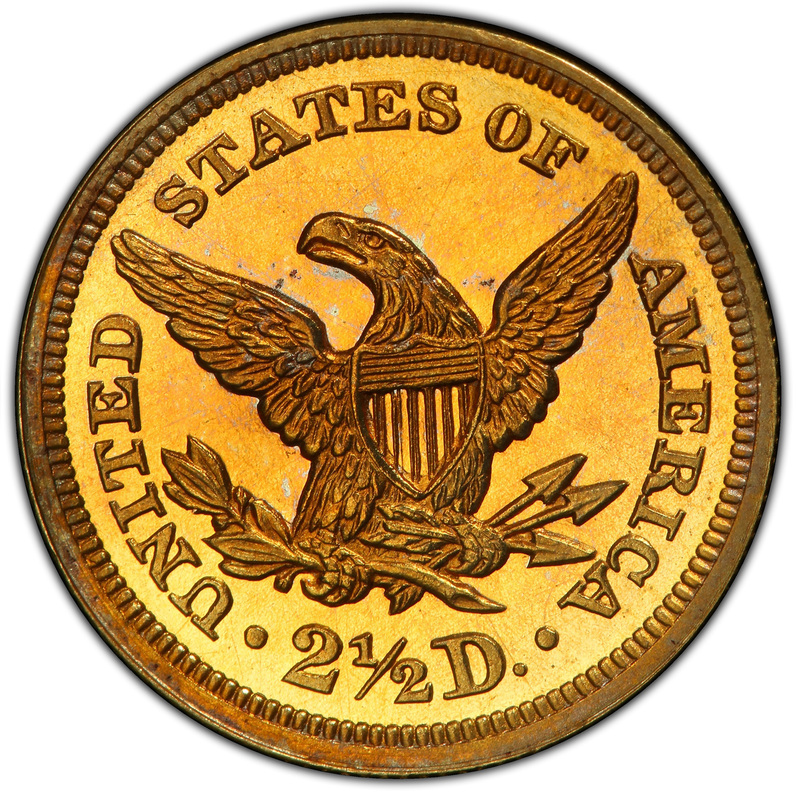 The same year, Philadelphia- home of the mint- held several important events in its Independence Hall. Two of the most important events of this year were the Republican National Conventions and the “Know-Nothings” Party convention-also known as the American party. The latter did not have much traction in the public eye before the convention and certainly could not keep is after. Its origins were rooted in a secret society and filled with extreme Nativists. Millard Fillmore won the spot for the party’s presidential nominee thanks to his platform that extended the naturalization process, kept immigrants out of public office, and enforced codes that left states sovereign in their slavery decisions. Oddly enough however, Fillmore ultimately lost several party supporters because several supporters were abolitionists. Regardless, this “American” party obviously did not hold steadfast after the Republican nominee, Abraham Lincoln, won presidency in 1860.